Deutsche Bank stock has hit new lows. This is partly driven by general pressure on financial stocks, but also by the bank’s own specific woes. Today, I’ll look at what’s going on at Deutsche Bank, just how cheap it is, and what the future prospects are like. I recommended the stock of Deutsche Bank (XETRA:DBK / NYSE:DB) on 29th July 2016. At the time it traded at €11.81 / US$13.89. After initially rising substantially, it’s now plumbing new lows. My recommendation was made on the basis of a multi-year business turnaround programme and a cheap price. 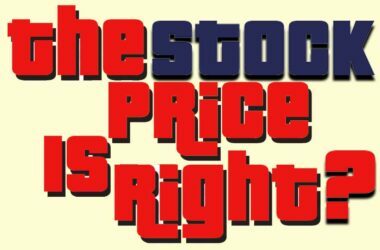 At the time, the stock traded with a price-to-tangible book value (P/TB) ratio of just 0.32. 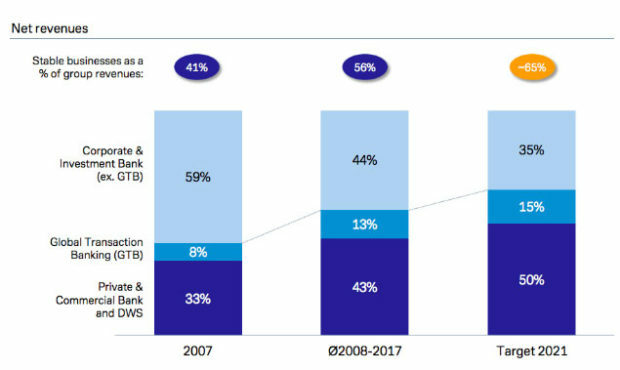 Assuming the target (at the time) return on tangible equity (ROTE) of 10% could be achieved by 2020 or 2021, my base case was for the P/TB to increase to 1, meaning huge upside for the patient investor. The stock price peaked at €17.61 on 15th May 2017. That was up 49% in less than a year, and things looked on track. But it’s down hard since then. At the time of writing, the stock is priced at €7.70 / US$8.78. In euros, that’s down -35% since the original recommendation (and -37% in US dollars). 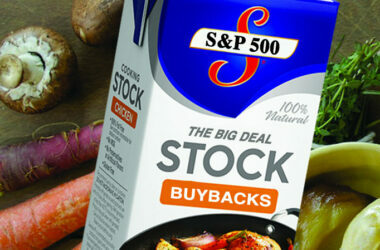 The stock’s fortunes have changed dramatically. That said, I’ve always been clear on two counts. Anyone owning this stock should see it as speculative and likely to be highly volatile. That’s despite a steady trend towards a lower-risk business mix, with progressively less reliance on the volatile investment bank (see the chart of revenue mix below). Also, the turnaround process was always expected to take quite a few years to pay off. Back in July 2016, I wrote that the stock “looks attractive for those prepared to hold it for three to five years”. So far, it’s only been two years and four months. The question now is whether it’s worth holding on to, or opening a new position. A lot has happened in the interim (and regular readers have been kept informed along the way). The bank did a discounted 1-for-2 rights issue to raise new capital. In my original recommendation, I explained that this was a risk. But, because the stock was so cheap, it didn’t negate the investment case. However, the result was that tangible book value per share (TBVPS) was reduced by over a fifth. 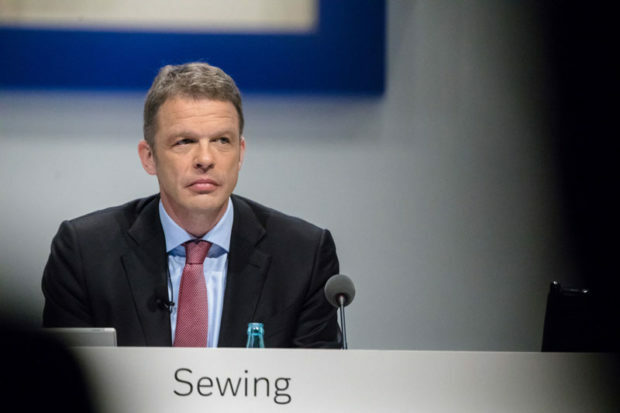 A boardroom power struggle saw CEO John Cryan ejected and replaced with Christian Sewing. Sewing has dialled back on previous profitability targets. Cryan said the bank would achieve 10% ROTE by 2021 and a 70% cost-income ratio (expenses as a percentage of top-line revenues). The 10% ROTE target still exists, but at some unspecified date in the medium term. More of an aspiration than a target. The cost-income ratio target has been ditched altogether, along with a commitment to get costs down to €21 billion by 2021. 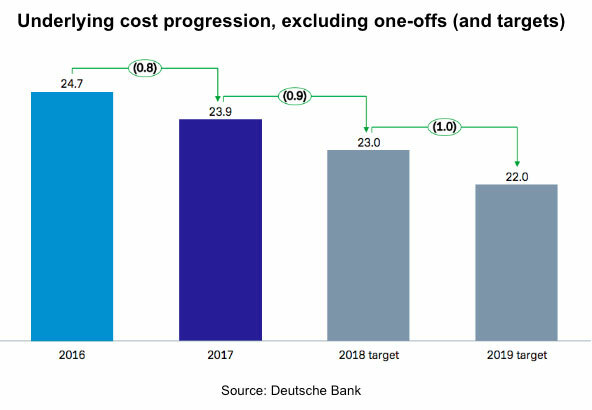 All we know are that the cost target is below €23 billion this year and around €22 billion in 2019. After Sewing got the role, he set to work cutting or closing parts of the business, in particular in the Corporate & Investment Bank (CIB), and especially in the US. The net result is less ambitious cost targets, at least those that have been communicated publicly. At the same time, due to the cuts in CIB, revenue is likely to be lower than previously expected. Put together, that makes it less likely that the bank can achieve 10% ROTE any time soon. By my estimates, even if management achieves 5% annual revenue growth and keeps costs flat at €22 billion for a few years – both of which are potentially optimistic assumptions – it will now take until 2022 or 2023 to achieve a 10% ROTE. At that kind of level, the stock should trade around P/TB 1. At the end of the third quarter, tangible book value per share (TBVPS) was €25.81. It’s been stable around that level for four consecutive quarters (it was €25.94 at the end of 2017). Even without any growth in TBVPS in the coming years (which is highly unlikely), that implies the price could eventually rise 3.7 times from today’s level. That’s if it eventually reaches parity with tangible book value, around the years 2022 or 2023. That would also be 2.2 times the stock price of €11.81 on 29th July 2016, when I first recommended this stock. In reality, tangible book value is likely to rise modestly as well, as retained profits are added to capital. That will add further gains. But the rate at which that happens depends on how quickly the management can improve profitability, and how much profit is retained and added to capital for business growth (as opposed to distributed as dividends). Right now, priced at €7.70 / US$8.78, the stock trades at a P/TB ratio of 0.3. 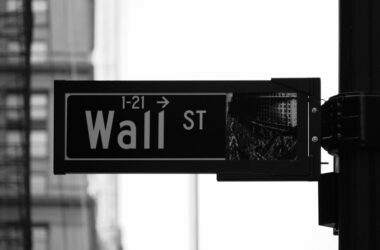 Put another way, the liquidation value of the bank’s balance sheet – the tangible book value – is 3.3 times the market capitalization of all the stock. Effectively, at this price level, investors are either baking in huge risk or assuming no profit improvement…from here to eternity. I believe the pessimism is excessive. But, given the lack of more aggressive cost-cutting targets or signs of revenue growth, the time needed to achieve price upside has almost certainly been extended for a year or two. Clearly, investors in Deutsche Bank will need even more patience than I originally expected. Management is still a long way from delivering. On top of this, there’s been more bad news recently. Deutsche Bank has been implicated in two cases of regulatory breaches, either of which could result in new fines (just when everyone thought the main legacy items were behind the bank). Obviously enough, any big new fines would be yet another setback on the road to recovery. The first situation actually relates to a big Danish bank, Danske Bank. 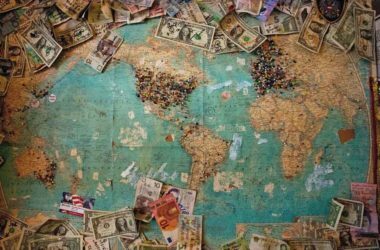 The latter’s branch in Estonia is reckoned to have laundered over $230 billion of illicit funds between 2007 and 2015, mostly from Russia and other parts of the former Soviet Union. Deutsche Bank acted as Danske Bank’s US dollar correspondent bank in New York, meaning the transactions also passed through Deutsche Bank (four-fifths of them, according to the Financial Times). Deutsche Bank argues that it couldn’t be responsible for doing due diligence on Danske Bank’s end customers, and only had a relationship with Danske itself. That sounds reasonable to me, but the regulators and government lawyers may not see it that way. Separately, Deutsche Bank’s Frankfurt head office was raided last week by 170 law enforcement officers. This was in relation to another money-laundering and tax-evasion investigation. This time is was tied to the “Panama papers” – the anonymous leak of secret customer files from a Panama law firm in 2015. In this case, Frankfurt prosecutors are investigating activities between 2013 and 2018. Clearly, the bad news keeps coming for Deutsche Bank. Just when it looks like it’s starting to come out of the woods, something new comes along. I can’t assess how big the financial risks are to the bank from these new cases. It’s still too early to know. But they’re clearly another management distraction, and damage the bank’s reputation (further). So this leaves the big question: What should investors do? As before, this is a stock that’s only suitable for investors with plenty of patience, and that can live with major price volatility while they wait. There’s still major upside, but it’s likely to take longer until it’s realised. Initially, in 2016, I recommended buying the stock and then forgetting about it until at least 2019. That was with an expectation that it would trade around P/TB 1 in 2020 or 2021. Now, based on current evidence, I’d be surprised if that happens before 2021 or 2022, pushing it out a further year (and five or six years after my original recommendation in mid-2016). Deutsche Bank stock remains extremely cheap, but there are clear short-term risks. Current management needs to be more aggressive in its cost-cutting, having dialled-back on earlier profitability targets. Now that businesses have been trimmed, what remains needs to find revenue growth. I still think CEO Sewing and co. will work it out in the end, or whoever replaces them (tick tock, tick tock). But investors will need huge reserves of patience and risk tolerance to see it through.